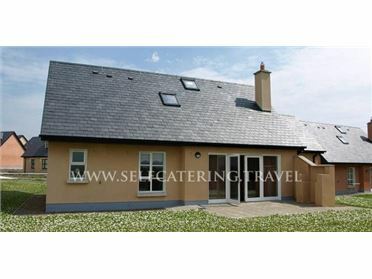 Centrally located, family run Bord Failte registered self catering holiday apartments and holiday farm cottage, Hillview self-catering holiday rentals are the perfect place to enjoy your vacation. An ideal base for touring, Hillview self catering accommodation is located in the heart of Ireland just off the M7 Motorway, an hour from Dublin and just 45 minutes from Kilkenny. Within walking distance of the quaint village of Emo, local amenities including a shop, post office, church, 4 star restaurant and pub. Of historical interest is the famous Gandon designed Emo Court House, Gardens & Parklands as well as the Gothic inspired Gandon Church in Coolbanagher. The famous Gandon Emo court house and gardens and Gandon church Coolbanagher are of historical and architectural interest,Gardens and Parklands are within walking distance with free access during daylight hours, perfect for a relaxing walk or family picnic. Our family run 4 star vacation rentals comprise 1 & 2 bed apartment set in a beautifully converted stone farmyard building as well as a 3 bedroomtraditional 19th century farm cottage all fully refurbished with all modern facilities. A beautiful stone conversion. Two cosy apartments each with separate entrance and parking. Stables 1 -twin beds sleeps 2. Separate fully fitted kitchen,all modern appliances, electric cooker, micro wave, freezer, toaster, fridge, dish washer, washing machine, clothes dryer and iron. Living/dining area includes multi channel TV, dvd, radio, c.d.player, hair dryer, clock radio and reading material. Private car parking ,barbecue, garden furniture. Oil fired central heating and electricity by meter reading. Safe area for children to rear of building.